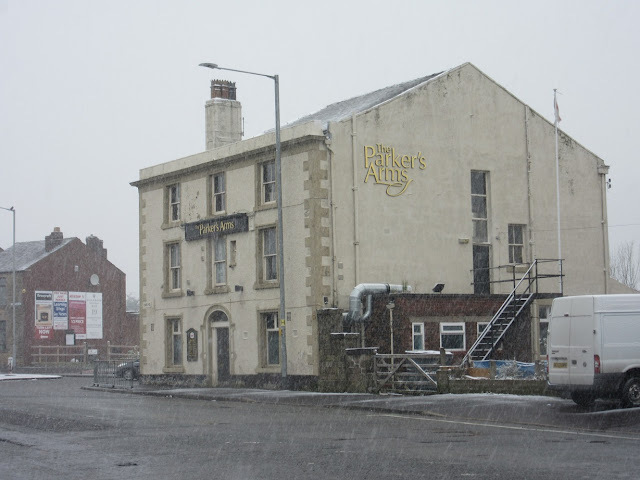 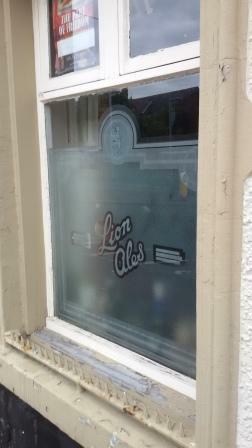 The Parker's Arms was named after one of Chorley's most influential families, the Towneley-Parkers who lived at Astley Hall in the early 1800's and it may be that they owned the pub and their family arms were displayed outside, as was traditional (likewise the Towneley Arms just down Preston Road). 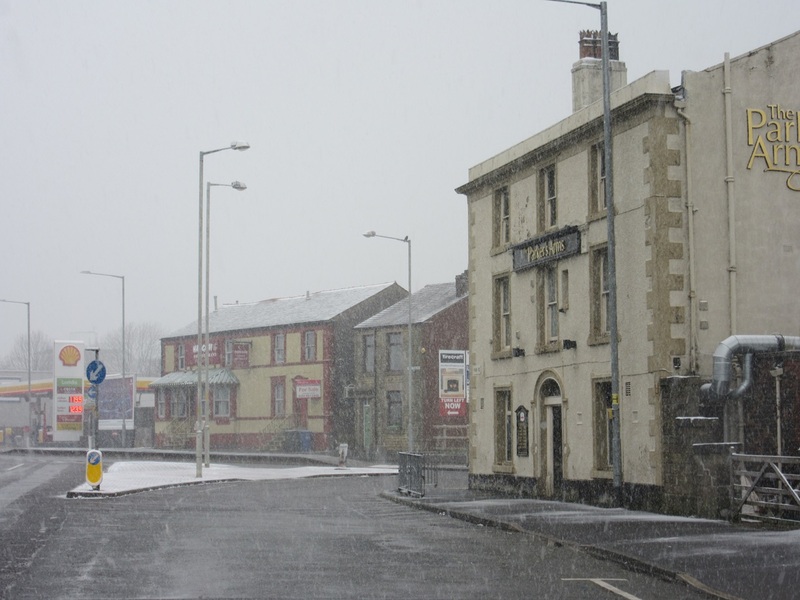 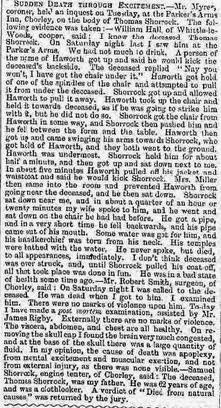 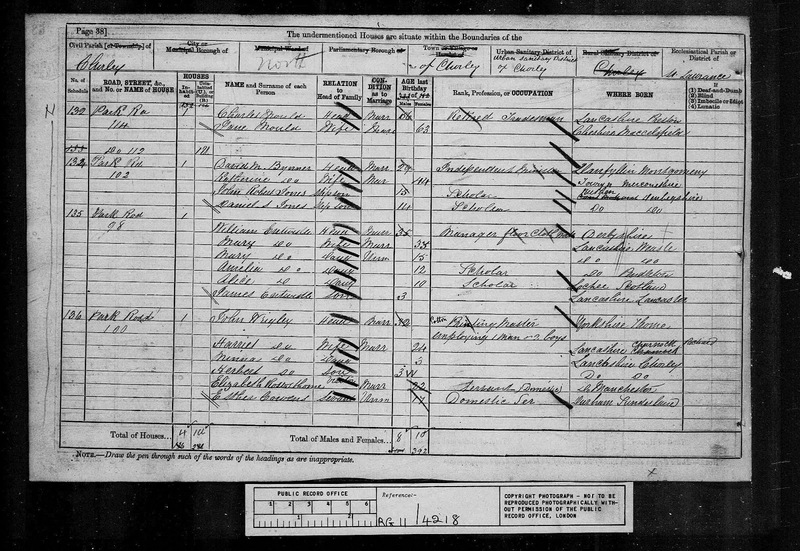 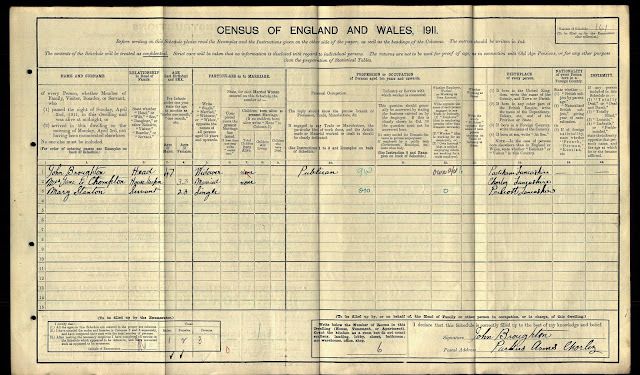 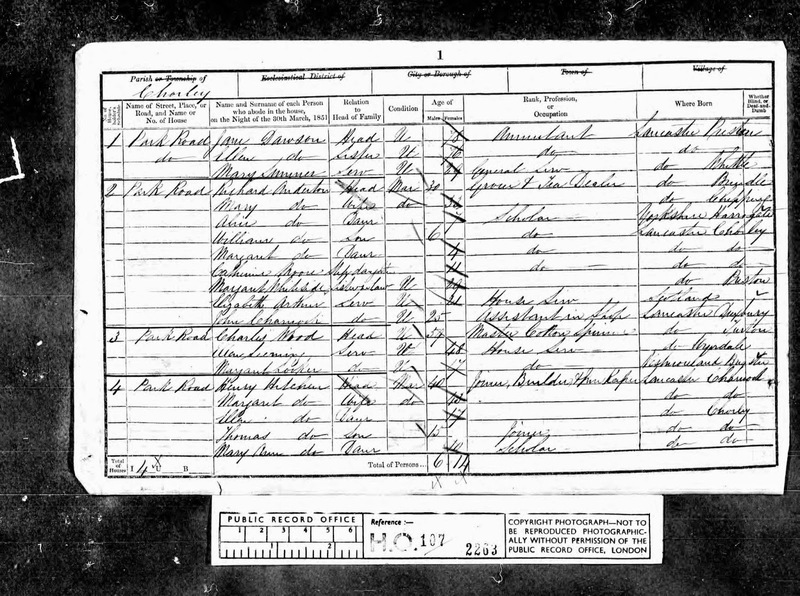 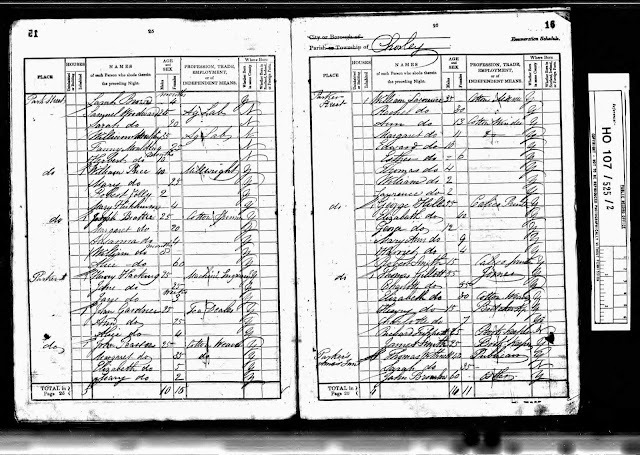 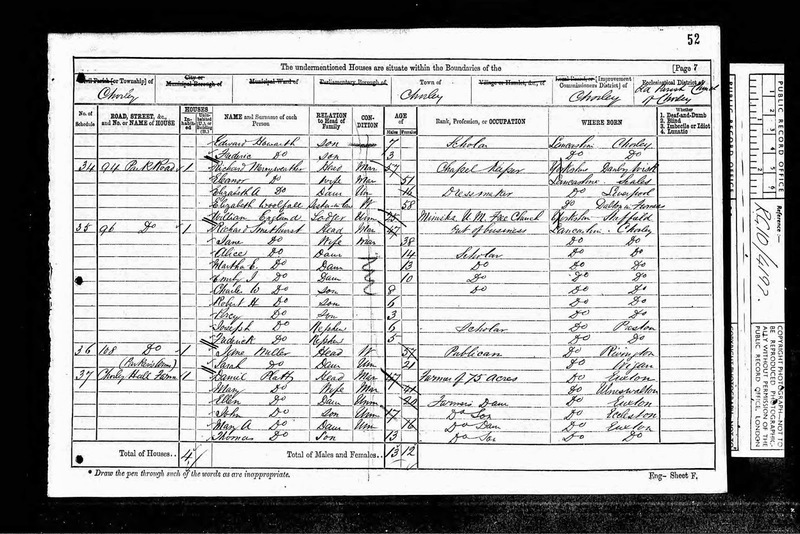 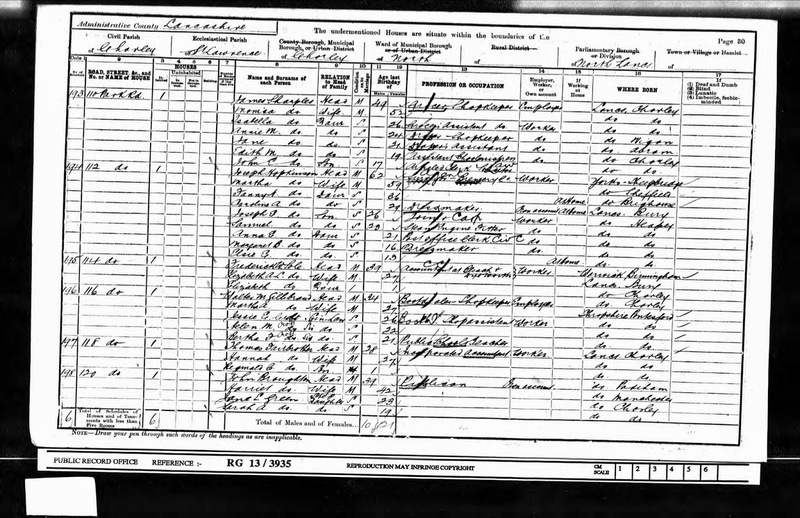 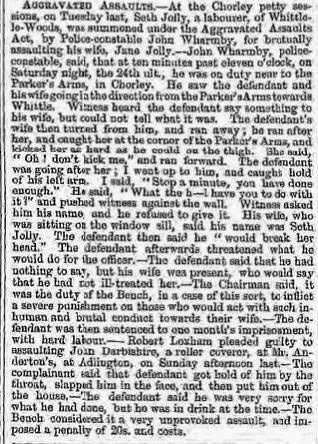 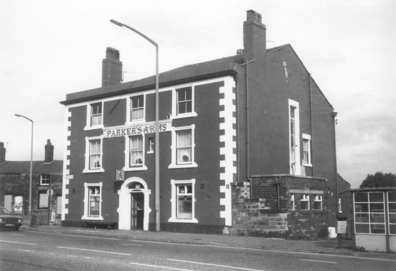 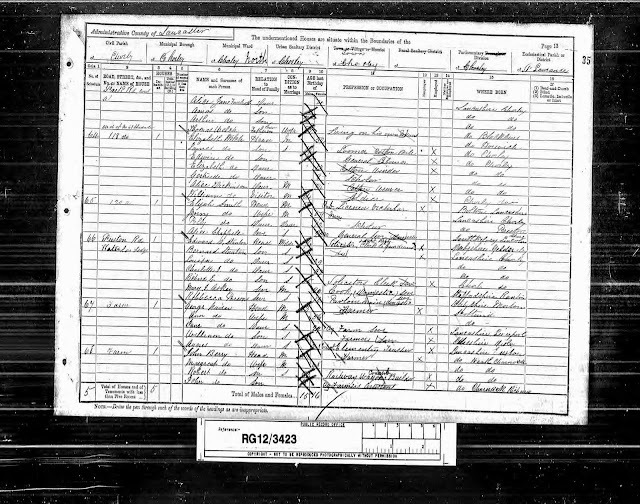 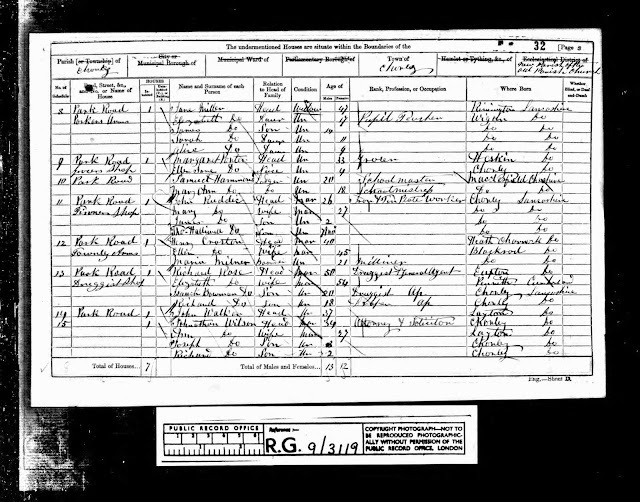 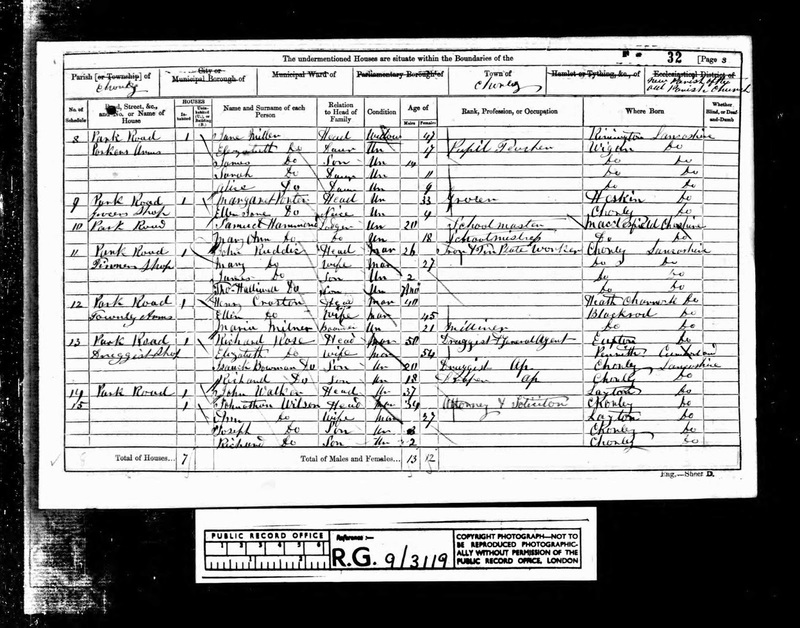 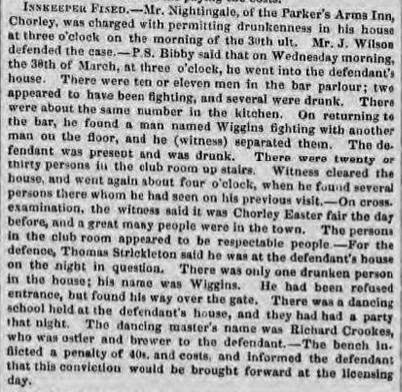 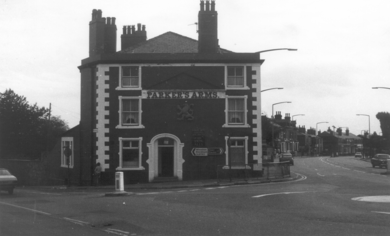 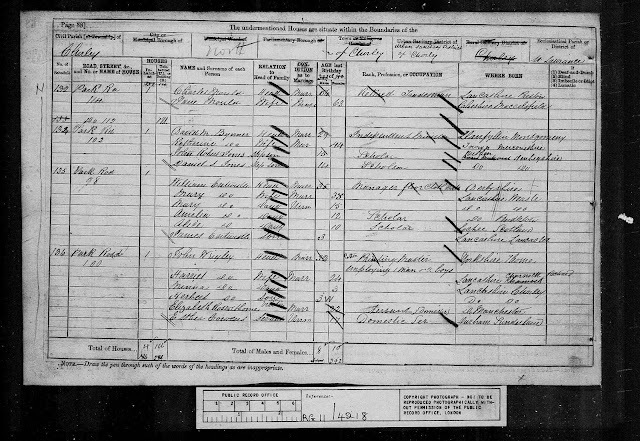 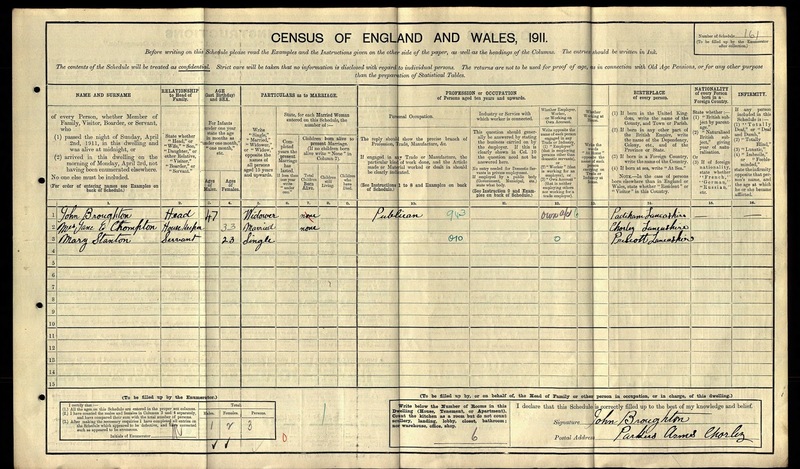 The Parker's Arms was opened in 1822 but first recorded on the 1841 Census and remains open to this day. 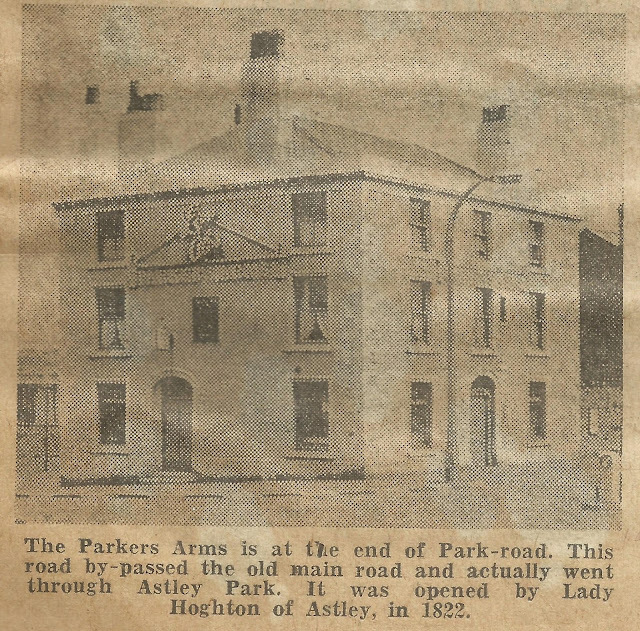 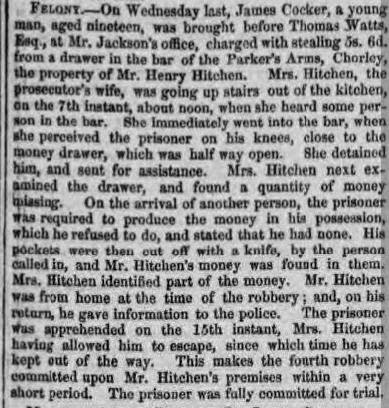 Listed landlords/tenants included Thomas Withnell (1839-41), Henry Hitchen (1848-1851), Mr. Nightingale (1853), Jane Miller (1861-76), Charles Mould (1879-81), James Mould (1882), Elijah Smith (1889-91), John Broughton (1901-11), George Holland (1920-24) and Alex W Birnie (1936). 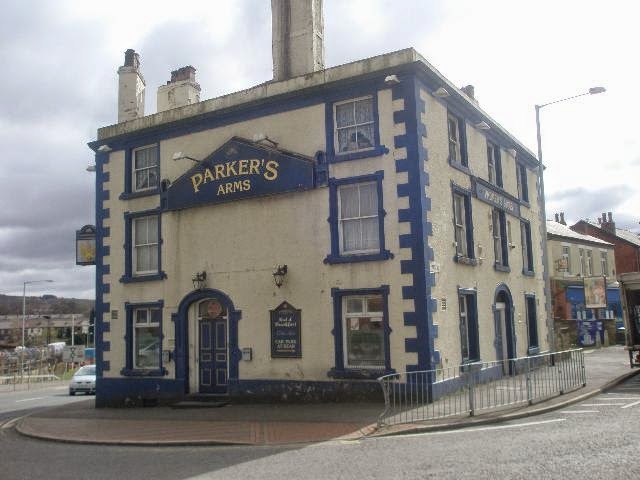 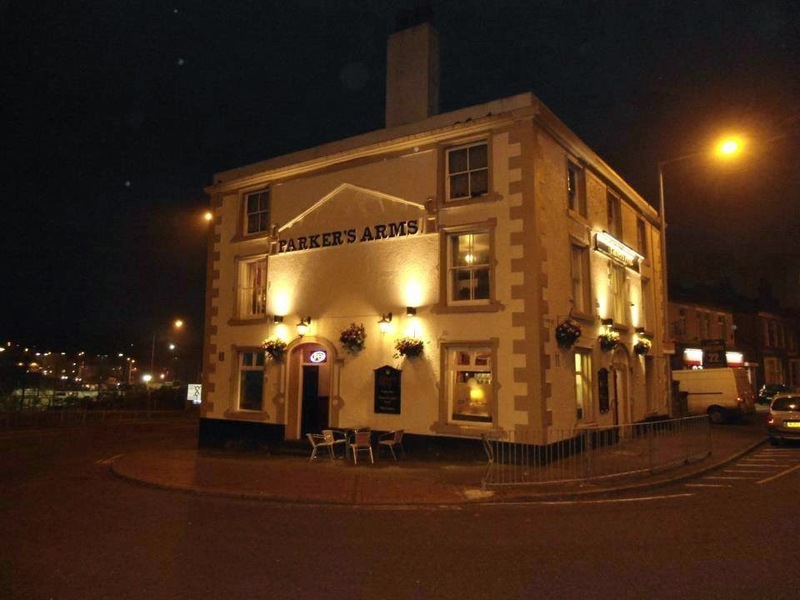 In 2011 the Parker's underwent a refurbishment as pictured below.